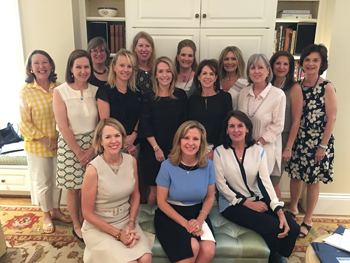 Since 1980, the KKG Charitable Foundation of Houston has contributed to a number of local charities, the Houston Panhellenic Association, and Kappa's National Charitable Foundation. The recipients utilize the donations for programs, facilities, equipment and scholarships for thousands. In recent years, grant requests have increased dramatically, and grants awarded have steadily increased. These grants fulfill the mission of the foundation, "to attract and generate financial support for distribution to charitable organizations that meet established philanthropic guidelines." See our 2017 grant recipients. Funds for the charitable grants are raised during the Kappa Holiday Pilgrimage Home Tour, the Holiday Luncheon, and the philanthropic gifts of our individual members. The Holiday Home Tour is held in even-numbered years, and the Holiday Luncheon in odd-numbered years. Kappa has contributed more than $2.8 million. Private, tax-deductible contributions to the Kappa Kappa Charitable Foundation of Houston, a 501(c)(3) non-profit organization, may be made at any time.